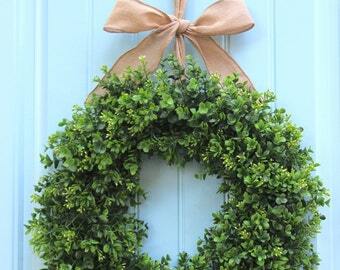 This wreath is made of plastic artificial boxwood that is able to weather any storm. 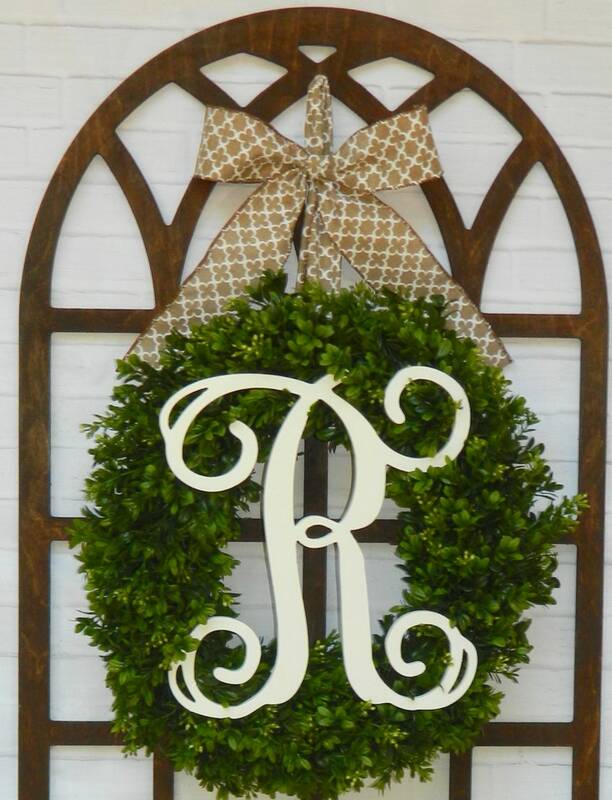 Topped with a beautiful sturdy metal script letter monogram. 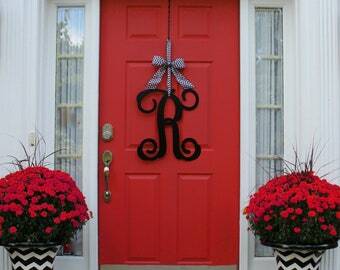 Choose your color and letter combination. 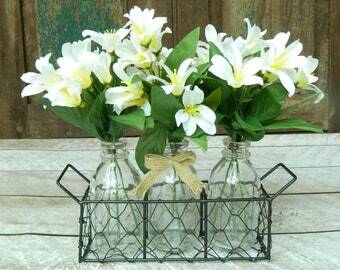 - Must be displayed outdoors (only in a protected location) or indoors. 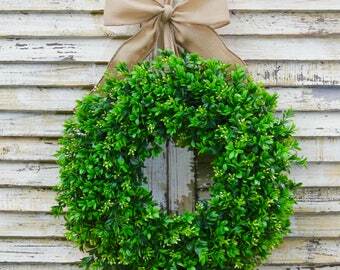 This wreath cannot be directly exposed to moisture. 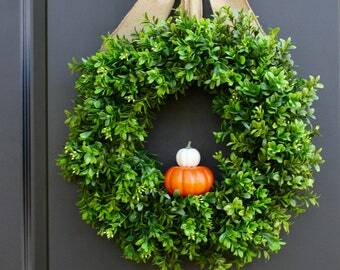 - With proper care, your wreath should last for many seasons. 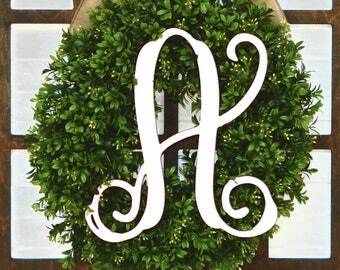 The monogram is attached to the wreath with a clear binding wire. This wire may be clipped so that you may remove and reuse the monogram elsewhere. - Metal letter is 11"
The item I bought took 2 1/2 weeks to come in with over a week of waiting and it taking 9 days to ship after that, which would’ve been fine if I hadn’t paid $15 for the regular shipping rate. With the cost of shipping it should’ve only taken a few days to get here because the product isn’t that heavy and it didn’t travel that far. The product was also way over priced for the quality that it is. The ribbon isn’t hardly tied together and is twisted so you can’t even see the pattern. I don’t recommend this item at all- it was a waste of my money. 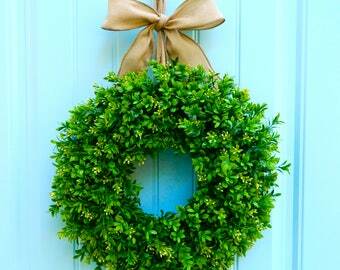 My wreath was beautiful and arrived very quickly! I will definitely be ordering from this shop again!